Maybe the most under-appreciated player in baseball history — certainly the greatest modern-era pitcher for my beloved San Francisco Giants — is Juan Marichal. And I’m excited for the chance to meet him Sunday, February 10 at the 33rd Tristar Collectors Shows at NRG Arena. Marichal, the Dominican Dandy, will join other sports legends like Roger Clemens, Jim Brown, Steve Carlton, Earl Campbell, and Big Red Machine mashers Johnny Bench, Pete Rose, Joe Morgan, Tony Perez, and George Foster at the autograph and memorabilia event. Current sports stars like Clint Capela, DeAndre Hopkins, Jake Marisnick, and dozens more will be on hand to scribble their signatures and take photos, too. Love this one: When Marichal was a rookie in 1960, Giants manager Alvin Dark told him, “you’re going all the way today, the bullpen will be empty.” In 1968, Marichal threw 30 complete games. Five different seasons, he had more than 20 complete games. Just for comparison and laughs, last year the entire Astros pitching staff recorded three complete games. I spoke with Marichal on the phone from his home in Miami last week. I asked, is it true that when you were a kid in the Dominican, you played baseball with golf balls? “Yes, we would find old golf balls on a local course and ask a shoemaker to wrap cloth around them. We used branches from trees as bats. We didn’t have equipment, but we learned how to play. I loved baseball so much, it didn’t matter that we didn’t have money to buy real baseballs. I think I became a pretty good player,” Marichal, 81, says. Marichal and his friends made gloves from old burlap bags. He never dreamed that, 70 years later, people would stand in line for his autograph or take a selfie. “It is amazing to me, but the fans are so nice. They ask about my career and the old days, my teammates like Willie Mays and Willie McCovey. They seem happy to meet me, but I’m happier to meet them,” he says. He did have some making up to do. In 1965, during a classic Giants-Dodgers game, Dodgers catcher Johnny Roseboro either grazed Marichal’s ear with a throw back to the pitcher, or came too close for Marichal's comfort. Infuriated, Marichal turned and hit Roseboro twice in the head with his bat. Blood coursed down Roseboro’s face, requiring 14 stitches. Marichal was suspended for eight games and fined $1,750. That incident is considered the primary reason why Marichal, a first-ballot Hall of Famer for sure, had to wait three years to be enshrined. “Dodger fans greeted me warmly, and I was very grateful that Johnny Roseboro told them I was a good guy and he had forgiven me,” Marichal said. 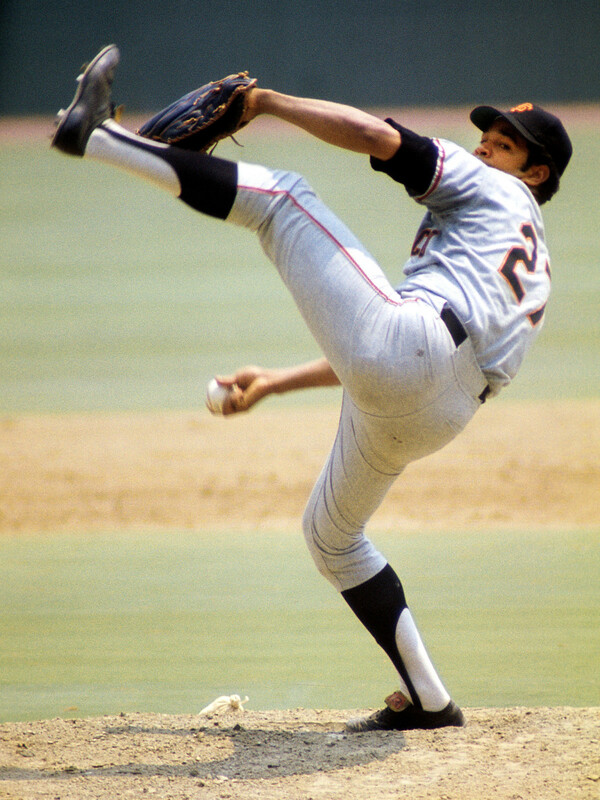 The great Giants pitcher will be at the Tristar show starting at noon February 10. He is expected to finish what he starts. Meet Marichal and other sports legends on Sunday, February 10 at the 33rd Tristar Collectors Shows at NRG Arena. For a complete list of celebrities, days, times, and prices, visit the official site.